Our 2018 Black Pack Party group shot includes veteran authors like Reshonda Tate Billingsley, Victoria Christopher Murray, Donna Hill, Angela Dodson, and others (mostly in the back row with me). 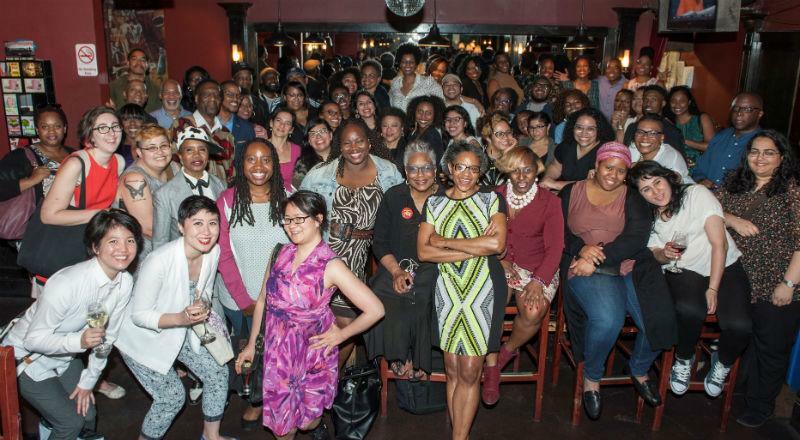 This year we collaborated with an organization called People of Color In Publishing. As a result, there were a lot more younger professional in the house. Most to the front of the photo.